Bella Vista, Sydney-based Mirren Investment Properties, a property investment group focused on improving the lives of families, has released a property investment quick e-guide that looks at practical ways for would-be property investors to increase equity without focusing on capital growth. The guide centers on 3-key areas – outgoings, benefits and rental income. Plus, it comes in a 3-minute fast-fact video for easier information absorption. 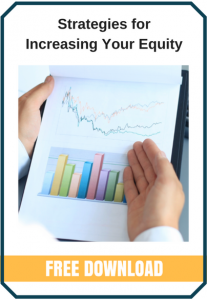 Just released, the Property Investment Equity e-Guide defines what equity is – the value of an investment property minus the debt owed – before discussing the two ways that property equity increases. The video eGuide identifies that while an investor controls one way of increasing equity by reducing debt, they have no control over the other, which is market dependent capital gains. Next, the video eGuide focuses on how an investor can reduce their debt. These methods include reducing outgoing costs such as fees associated with the property – agent fees and interest – and by carrying out regular property maintenance. Property investors also need to consider claiming their government incentives by way of tax bonuses throughout the year, states the video eGuide. Plus, they should also think about increasing equity via strategic renovations and periodic rental reviews. More information is available at https://mirren.com.au/resources. Mirren Investment Properties, helps families to think critically about their future and to use all of their resources to build wealth through property investment. As property investment strategists, Mirren defines simply and efficiently how individuals, couples and families can transform their current income and existing assets into a wealth creating property portfolio, with minimal risk.